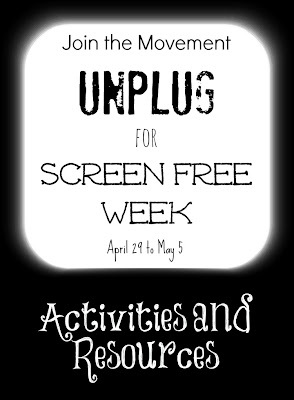 Its Screen Free Week from April 29th to May 5th. 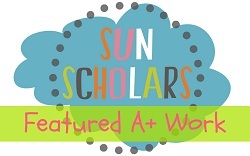 You can read all about Screen Free Week here. 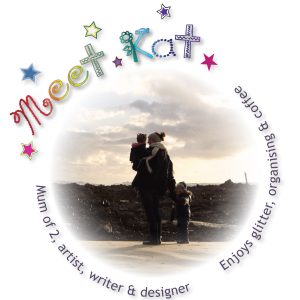 To encourage you to step away from the screen for a week members of the kid blogger network have joined up for this blog hop, giving you loads of ideas of activities and things to keep you all busy! 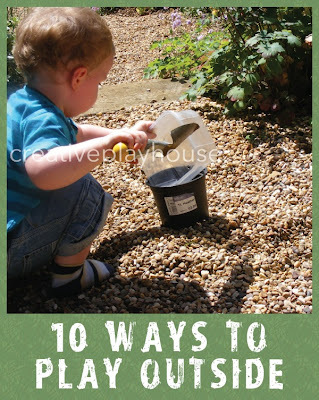 Im sharing with you 10 Simple Ways to Play Outside! These ideas can be used and adapted for any age and for the whole family, read on for more details. This can be as simple as grabbing a bucket and collecting interesting things like pine cones, leaves and pebbles, or for older children you could create a scavenger hunt or start a nature journal. Nature provides lots of great play materials and its great to learn about and engage with the world around us. Both my two (3.5 and 14 months) love playing with water. A paddling pool is great for hot days, but even just a bowl or bucket of water provides hours of fun. You can add bubbles, sponges for washing toys, aquatic animal figures, cups and scoops, food colouring, a variety of objects that sink and float for comparison, balls, and boats... I find my children are always chilled out after playing with water too! 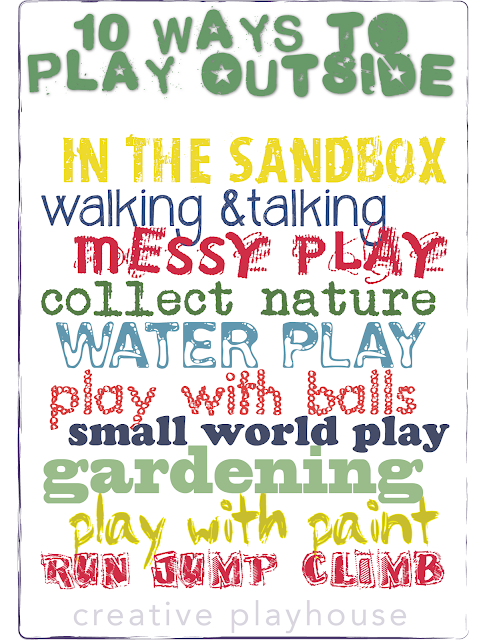 Take messy play that you really dont want to do indoors outdoors! Goop and Ice is a great outdoor activity, Reptiles in Jelly is another fun one, but anything messy works! You can find some more ideas here on my sensory play pinboard. If you dont have a sand box in your garden, you could easily dig/make one, or even just grab a big tub of sand (play sand is really cheap) or make a big batch of could dough! Simply digging and making sand castles is lots of fun for any age, or you could add any number of things to enhance sandbox play. The Imagination Tree has a great post here with lots of ideas, and a few things we love are shells, diggers and cars, toy animals and rocks. When you have space kicking and throwing balls around is a lot of fun! Playing football (soccer), tennis or cricket is great for the whole family with older children, or just throwing them around and being silly is so much fun for babies and toddlers. Taking small world play outside is wonderful as you can use nature for your environments! Plants and rockeries become dinosaur lands, grass and mud can become a working farm, sand and water can turn into a beach, and like messy play the mess stays outside and there's very minimal set up required. Go for a walk, and chat to your kids. You could talk about the things you are seeing or about anything that's going in your lives. Use the time to connect as a family, and enjoy being outside! Painting outside is brilliant. You don't really have to worry about mess, you can leave the materials out for free creativity, and the outside environment may inspire new ideas and expression! Simply moving the art materials outside may coax a reluctant artist over too. You could experiment with some ideas like painting with rocs from Fantastic Fun & Learning, or use the natural materials to paint with Laughing Kids Learn. Another fun outside art idea is 'sidewalk chalk'! Gardening with kids is so beneficial and so fun! I highly recommend The Garden Classroom by Cathy James from NurtureStore for a whole host of ideas for activities in the garden! 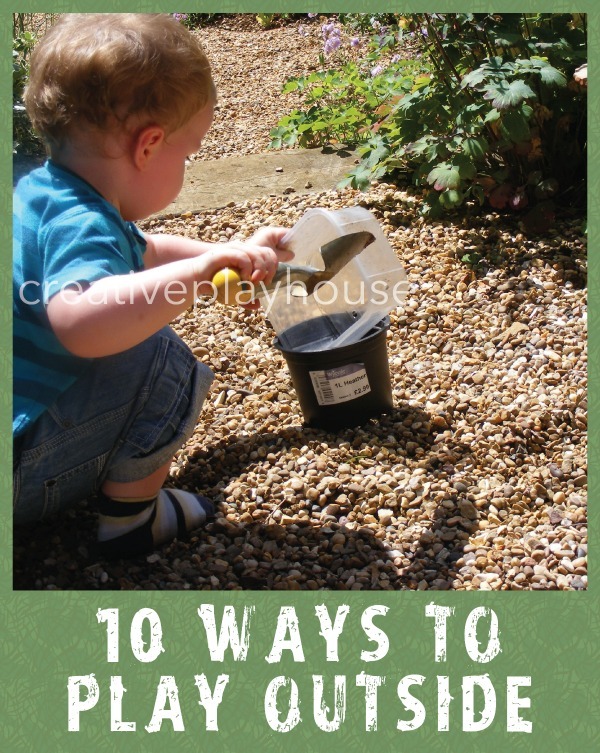 For toddlers simply having a patch of soil to dig up and play with is fantastic. Run around, play chase, jump on a trampoline, climb trees or the climbing frame, go to the park, play hide and seek! Just have fun! Outside play is so vitally important for children, and is such an easy thing to provide for your family! If you want to read more on this issue check out this fantastic article, The Importance of Outdoor Play from the Day Care Trust. What's your favourite way to play outside? Thanks for sharing this on Montessori Monday! I love screen free activities year round! Visiting from Montessori Monday. 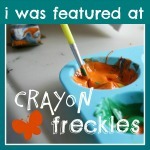 I'd love for you to share your family-friendly crafts and ideas at Monday Kid Corner at thejennyevolution.com. See you at the party! Thanks Jennifer, popping over now!